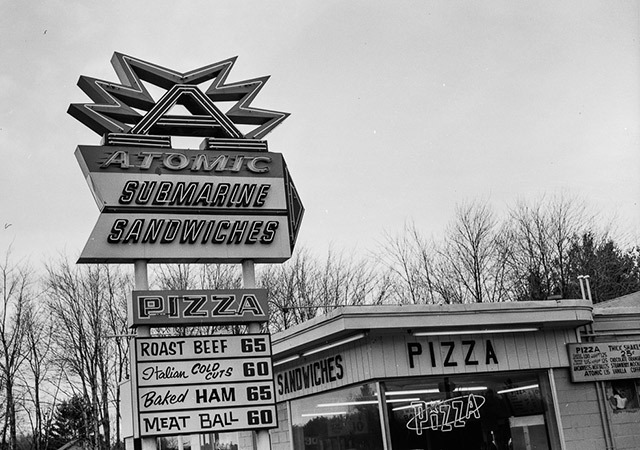 Atomic Submarine Sandwiches in Salem, NH in the 1970’s. 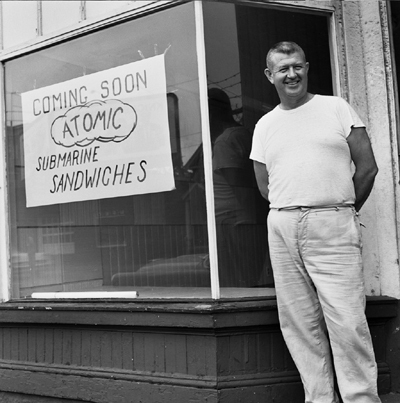 How about this great photo of the Atomic Submarine Sandwiches shop in Salem, NH? The negative was found recently by Dave G. who works here at Retro Planet while he was going through some old photos belonging to his father-in-law. This photo looks to be from the late 70’s. Located on Route 28, the Salem shop was opened in 1965 and operated there until November of 1984. Once a chain with multiple restaurants, I think this was the last location of this once great regional sandwich shop. Check out our earlier blog on Bill Littlewood and the original Atomic Subs in Lawrence, MA. And please be sure to share any memories you have of Atomic Subs.